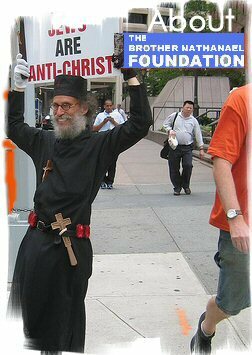 The Brother Nathanael Foundation is a tax-exempt non-profit corporation, dedicated to the promotion of Christian principles in American society. "The Brother Nathanael Foundation will be working around the clock to make America a Christian nation once again. Beginning with bringing Christian symbols back to the public square and our involvement together, we can make the vision of our Foundation a reality." Brother Nathanael Kapner, President. Brother Nathanael is a monastic with the Russian Orthodox Church Outside Of Russia (ROCOR) where he is blessed by Bishop Jerome as a "poslushnik"/"novice" monk and to pursue a public ministry. 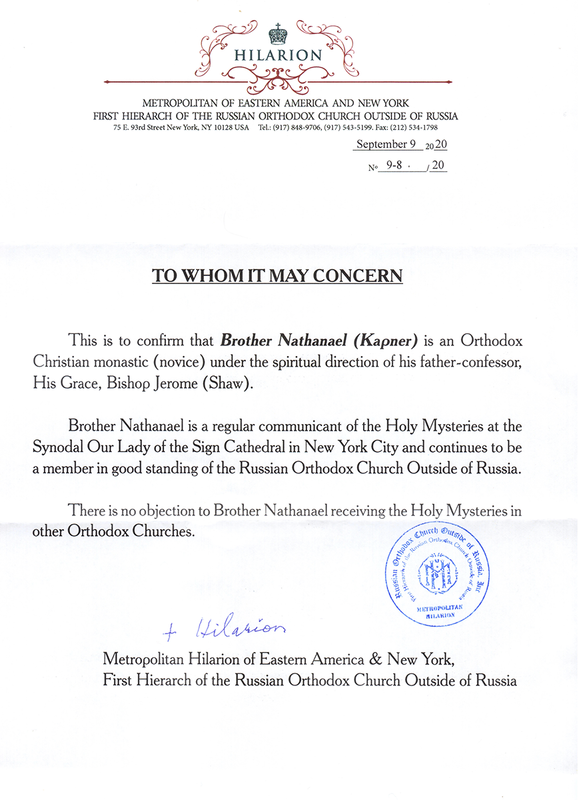 Brother Nathanael speaks and writes as a former Jew--now an Orthodox Christian--and not in any official capacity with ROCOR. He resides in the Rocky Mountains of Colorado. After eight years of monastic communal life (1996-2005), Brother Nathanael has been engaged in a public mission through his Street Evangelism and as an Internet publicist in order to bring a Christian consciousness and influence into every sphere of American life.